Talk about your game changers. According to a report from China's Xinhua news service, Tesla Motors Inc. (Nasdaq: TSLA) is working on a graphene battery that would double the range of its electric cars to about 500 miles. Tesla Chief Executive Officer Elon Musk told Auto Express magazine last month that a 500-mile range car is not only possible, but that "we could do it quite soon." A battery that incorporates graphene is just about the only technology that could possibly fulfill that promise right now. Graphene is a "miracle material" made of carbon that's about 200 times stronger than steel, one million times thinner than paper, and is an amazing conductor of electricity. It was discovered about a decade ago, but its enormous potential has only just begun to be realized. Graphene's properties solve several problems that have plagued electric cars so far and discouraged wider adoption of the technology. Range is just one of those. 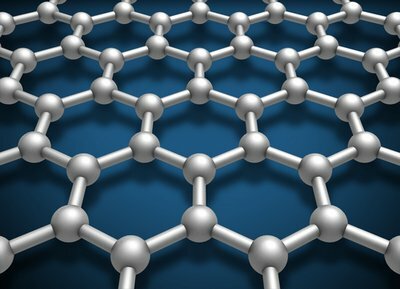 A graphene battery would also solve a related issue – charging time. Instead of needed to recharge for hours, a graphene battery could recharge in minutes, if not seconds. Well, last year researchers at Rice University discovered a way to mix graphene with vanadium oxide to create battery cathodes that could recharge in 20 seconds. The electrodes retained 90% of their capacity even after 1,000 discharge-recharge cycles – another key requirement for a practical electric car battery. Of course, a graphene battery would also revolutionize mobile devices such as smartphones and tablets – or, frankly, almost any gizmo that requires a rechargeable battery. Imagine being able to recharge your smartphone in just a few seconds. Another clue that Elon Musk was referring to a graphene battery in that Auto Express interview comes when he admits a Tesla car with a range of 500 miles "would increase the price." The current Tesla Model S starts at $71,000 and can go much higher with upgrades. About half the cost of a Tesla is attributable to the battery. Musk has vowed to produce a Model 3 car by 2017 that will cost less than $40,000. Because of difficulties in manufacturing graphene in both quantity and quality, the material remains relatively expensive and would dramatically increase the price of any Tesla vehicle that included a graphene battery.